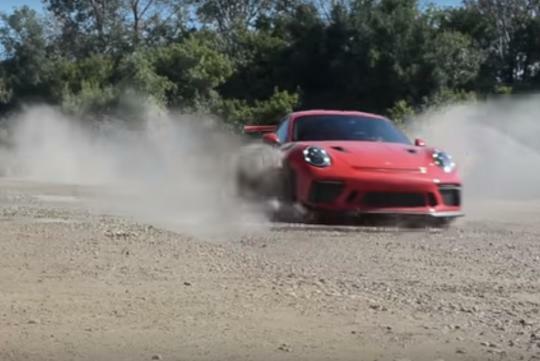 > Would you rally your new Porsche 911 GT3 RS? It is normal to see supercar owners treat their vehicles as pieces of gold and rarely drive them. However, someone with a Porsche 911 GT3 RS doesn't believe in such things. Not exactly a cheap car, the S$700,000 or so sports car has found itself an owner that prefers to drive the car hard. While this is not what we have in mind when we say 'hard', you can't fault the owner for not wasting the GT3 RS away in a garage with minimal miles. It may costed more than S$700,000 here ,but in US,it costed only about the price of a BMW 520i,i thought the last part,the Owner going to fly his Porsche into the Lake ,but he never did it..